No one may have asked for a Britpop revival but in the shape of The Hush Now we got one anyway. The fact that this band hail from Massachusetts shows that this predominantly, well, British scene had its impact on our American cousins too. 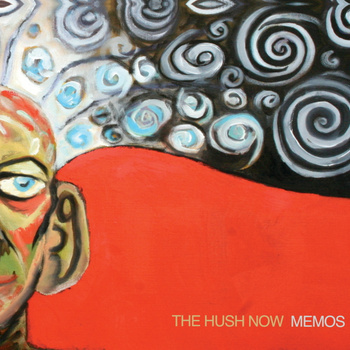 Even more surprisingly, The Hush Now’s second album, ‘Constellations’, proved to be something of a gem with enough quirks to rank it above the usual mid-90s anthem fare. Intriguingly, their third album, ‘Memos’ was recorded a few months after ‘Constellations’ and there are times when the continuity shows but on the debit side there’s also times when you wish they waited a bit longer to get the album right. It has to be said that much of the songs here are unassuming: there’s some decent keyboard-driven pop (‘Arkansas’) whilst ‘Clouds’ and ‘Rooftops’ boast bubbly indie guitar fare but there doesn’t appear to be a lot to set pulses racing. However, there are definite highlights. The languid, more introspective title track serves as the perfect platform for frontman Neil Kelly’s nasal yet appealing vocal and it signals the first time to sit up and pay attention. Then there’s the stately ‘Sitting On A Slow Clock’; another charming number which sounds more like a classy show tune than a 1990’s relic. Further into the album, ‘Cameraphone’ emphasises their idiosyncratic flair whereas the mid-paced ‘A Mother’s Lament’ reveals levels of maturity which weren’t hitherto associated with the band. As with their second album, look beyond the surface and there’s actually quite a lot going on in these songs. Furthermore, in Neil Kelly, they have a singer with real warmth and personality who is the star on an occasionally fairly pedestrian set of indie-pop arrangements. There’s something about an artist name like German Error Message which makes you wonder what kind of music might be lying in wait. Will it be Teutonic electronica, aggressive post rock or maybe even some lilting indie folk? The latter would be the closest answer and the man behind the intriguing avatar is Paul Kintzing who hails, of course, not from a German state but Louisiana in good old USA. ‘I Am Trying’ begins as little more than an acoustic strum but the ominous threat of thick rumbling percussion can soon be heard. Fast forward two minutes and the song is joined by horns and field recordings and suddenly we’re closer to Arcade Fire territory than Nick Drake. When Kintzing utters the words “I am tired now” for the next track, ‘The Sway’, you genuinely believe him due to his world-weary delivery but all around him, the layers of sound are lively and powerful whilst ‘What Did You Hold’ is built from dark stuff indeed thanks to the ghostly harmonies and stabbing key changes. Impressively varied material indeed but Kintzing really comes into his own with ‘I See Now’; there’s a gentler melody this time and even though fleshy percussion and horns figure prominently again, the core instrument is Kintzing’s attractively yearning vocals. Finally, piano keys resonate with shiver-inducing effect for the title track and album closer. At less than twenty three minutes in length, ‘The Lifting’ is a little too short to be considered an album’s worth of material but Kintzing packs an awful lot of detail and creativity into these seven songs. Whilst some may compare him to indie folkers such as M. Craft, the employment of multiple layers of sound belongs more in spirit to the invention of artists from Morr Music, the Berlin-based electronica label, so perhaps that German reference wasn’t quite so irrelevant after all. It takes some self confidence to describe yourself as one of the most beautiful male voices of your country. In the case of Iñaki Barrocal, though, considering his country is the principality of Andorra, many of us would be hard-pushed to counter this claim. No matter, ‘Call Me Your Majesty’ is a relaxing, atmospheric ambient pop album in its own right. Curiously, opening impressions resemble an odd alliance between Enigma and ‘Justify My Love’-period Madonna. Barrocal’s whispered vocals are set against his own choral-style backing whilst seductive beats and synths suggests high-end sensual background music. Yet, pleasingly, as the album progresses, there’s clearly a lot more going on underneath the surface. The single ‘I Luv U’ employs spaced-out drums and echo effects to deliver a moment which is both relaxing and haunting in its execution. This is unquestionably a very moody album and although the total time of seventy minutes could have done with some pruning, there’s no doubting it is a very seamless experience (apart from a couple of acoustic numbers) and such a quietly involving record that even subtle moments such as ‘A New Today’ and ‘Embrace The Sky’ contain some deceptively insidious melodies. Most impressive at all is ‘A Higher Plane’, where Barrocal creates what sounds like an ambient club anthem in-waiting. As usual, Barrocal takes a very understated approach but the soft electronica and Barrocal’s relaxing tones are particularly hypnotic here. ‘Call Me Your Majesty’ contains impressive vocal layering which supports Barrocal’s claim to national greatness but moreover this is quite a strong album which contains enough nuances in its comforting backdrop to rank this above background music (although it can certainly serve that purpose if you were that way inclined). All hail the new music King of Andorra, then. The recent reissue of The Postal Service’s ‘Give Up’ was a telling reminder of how many projects appear to have been influenced by it. Essentially it was a spin-off project between Death Cab For Cutie’s Ben Gibbard and producer Jimmy Tamborello released ten years ago, which slowly and surely became a set text for electronic producer/singer duos. We’re still waiting for a follow-up but in its absence Dark Dark Horse are definitely worth a listen. Like the Postal Service, it’s a partnership borne out of different acts, in this case current Maybeshewill producer Jamie Ward and James Stafford (from Kids In Cars). Warm and world weary, Stafford is the kind of frontman who immediately provides a comforting presence. 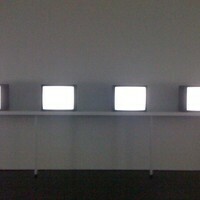 Add to this set-up Ward’s melodic, electronic accompaniment and clearly the duo are on to a winner. ‘Sharks’ is a great way to start the record. Ward’s clicks and whirrs and clean, tuneful hooks provide the perfect backdrop for Stafford’s careworn vocal. ‘In A Lifetime Before’ recalls the bittersweet songwriting of Her Space Holiday and even if Stafford sounds particularly fed up on both ‘Ethics’ and ‘The Sound Of Muscles That Have Frozen Closed’, the contrast between his melancholy and Ward’s upbeat key changes works so well it doesn’t matter. Indeed, only towards the end of ‘Centuries’ does the material begin to sound a little formulaic; the impression leavened somewhat by ‘Mercury Nevada’ which changes tack with a lengthy piano interlude, some sturdy Teutonic synths and rhythms and Stafford’s most moving performance. ‘Centuries’ lacks the variety to truly be called a great album; its rather one-paced approach restricting any sense of urgency. However, its main calling cards are its warmth of delivery and inherent tunefulness, which are the hallmarks of so many great bands operating in this genre. So The Postal Service may be missing in action but their legacy lives on and a second album from Dark Dark Horse should be similarly welcomed. As a classically trained musician and composer, we can naturally expect that Buenos Aires-born Bruno Sanfilippo is no slouch when it comes to releasing instrumental albums of original material. 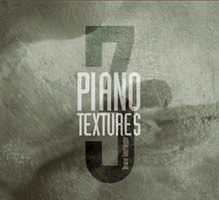 As the title ‘Piano Textures 3’ makes clear, this is the third in a series of albums by the artist, with the whole trilogy now available in a handy boxed set. From the opening keys of ‘Piano Textures 3 I’, there’s a sense that this is going to be a melodically and texturally rich yet rather depressing affair. Indeed, the mood on the first two pieces speaks of a soundtrack to tragic 1970’s films such as ‘The Go Between’ or ‘Don’t Look Now’, perhaps; beautiful yet unavoidably downbeat. Then ‘III’ signals quite a dramatic turn; the keys unfolding like petals of a new flower, such is the feeling of optimism that is generated. Sanfilippo employs the minimum of surroundings to the key instrument but does this effectively whether it’s the odd clanging of bells, distant voices or bird song. Yet in a rare moment of relative extravagance, ‘V’ is accompanied by strings and samples of waves. It’s hardly Sigur Ros territory but you could certainly visualise it underscoring nature documentaries. Elsewhere there’s a lovely yet flowing contrast between the stark ‘VI’ and the fragrant shimmer of ‘VII’ but these serve as mere interludes for the stately, stirring finale. It’s the only track which stretches to the ten minute mark but not a moment is wasted. Sanfiliippo’s expertise with the piano cannot be disputed. Yet of more significance is that this is instrumental music with a very tangible emotional power. The fact that they are original compositions makes these endeavours all the more impressive since they sound like set texts from a bygone age, with only the ambient touches to distinguish them from a vintage era. Husband and wife team Mark and Sharon Cohen-Rolfe have taken time to hit their stride. 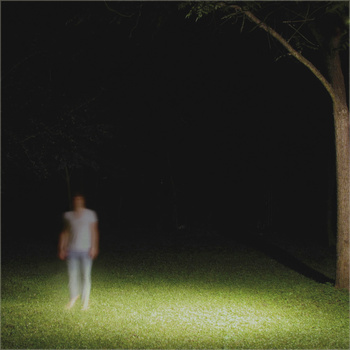 ‘Heart Of Wire’ is their fourth album of indie folk/slowcore and their first since 2008’s ‘Writing Down Things To Say’. In the past, their music, though uniformly good, has suffered a touch for being a little too shy and sensitive but their latest release could well be the one to establish them, especially given the belated popularity of the not entirely dissimilar-sounding Low. After three albums of rather sedate fare it’s to be expected that Lorna should tread quietly and after the first listen to ‘Heart Of Wire’ , it’s hard to remember what you’ve actually heard. Yet after a few listens, gradually the skill of the arrangement proves itself to be as clever as the reliably tuneful songwriting. ‘Sounds We Hear’ opts for close to the mic intimacy with both Sharon and Mark harmonising sweetly, as they always do. ‘As She Goes By’ adds some rhythmic muscle but the two songwriters provide the gentle caress to counter it, whereas ‘Whatever Happened To Andie Walsh’ is built on a languid sun-kissed arrangement which would fit perfectly on a record by The Sea And Cake. 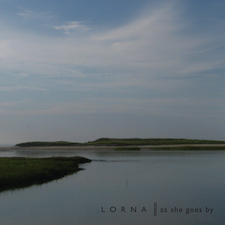 There is always an intimacy about Lorna which makes them so endearing. ‘November Kicks Again’ is warm, comforting and instantly familiar and the perfect antidote to fears of cold weather whereas the string arrangements for ‘Whose Idea’ and the Elgar-referencing ‘Mini And Marco’ provide the perfect accompaniment to a couple of already lovely songs. Mark takes the lead for yet another album highlight, ‘What Took You So Long?’, where the group employ more hard-hitting percussion but it’s the languid insistent melody that stands out as much as the lyric of “This is the sound of something happening underground”; a line which carries extra resonance given the subtle magic of Lorna’s music. No matter that it’s taken five years since their last record, this one has been well worth waiting for. The gentle charms may take a while to sink in but ‘Heart Of Wire’ is the highpoint of Lorna’s career to date. They were still at high school at the time but ‘The Western Boundary’, Rat Trap’s debut album, sounded remarkably mature for a new outfit. Although classed as an indie-folk record, its highlights were when they edged closer to Pavement’s off-kilter rock than those Belle And Sebastian-esque tendencies. The new record pleasingly follows the alt-rock trajectory and is consequently a much more consistent record than the debut. The slacker rock comes to the fore for opener ‘Birdhouses’; a song which, though undoubtedly melodic, is somewhat unconventional in structure. One of the most memorable songs is ‘Raindrops’, where the quick-fire vocal delivery is complimented by staccato percussion, strings and trademark off-key guitar work. For ‘Pulling Pulling Pulling’ and ‘Valleys Part II’ the guitars get wilder as the band move into harder territory, making a mockery of those Belle And Sebastian comparisons and even the instrumental ‘Rat Party’ is infectious in an early New Order kind of way. However, the moment which tops the lot is ‘Cities’; a song which grows slowly in stature (both emotionally and musically) until it turns into a lo-fi anthem. 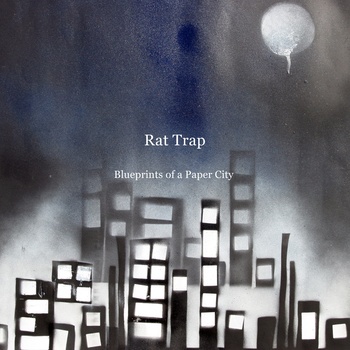 ‘Blueprints Of A Paper City’ may have witnessed Rat Trap nailing their colours to the alt-rock mast but how many bands in this genre incorporate a violinist into most of their oeuvre? This Santa Cruz band have excelled again by not only realising what they are best at but also by putting out an album which is cohesive from both a thematic and musical point of view.